Last Updated 11th July, 2002. Built to the operational specifications of the British Wireless Set No. 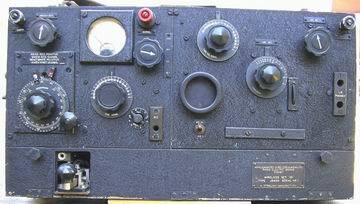 1, this transmitter/receiver was made by AWA (Amalgamated Wireless Australaisa) and went into production early in 1939. Covers frequency range of 4.28 to 6.66 MHz. AM/CW. Power output about 0.75 Watt on AM and 1.2 Watt on CW. Tx uses a 1K5 as the M.O. and 2 x 1K5's as the Power amp. Rx has an IF of 460 kHz. Mixer/Osc=1C7, IF amp=1K5, IF/Det Reflex/AF amp=1K7 and BFO=1C7. Also made by AWA, this transmitter/receiver is a direct copy of the British Wireless Set No. 11. Covers frequency rang 4.2 to 7.5 MHz. AM/CW. Tx power out approx 1 watt on low power, 4 watts on high power CW (AM= 0.6 to 1.5 Watts). Uses 1K7 as Modulator/Tone Osc. and 807 as Power Amp. Rx has an IF of 455 kHz. RF amp=1M5, Mixer.Osc=1C7, 1st IF=1K7, 2nd IF= 1K7, Det/AVC/AF amp=1K7, BFO=1C7 and AF output is 1K7. 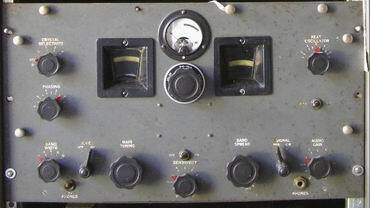 Again made by AWA, this transmitter/receiver was a direct copy of the British Wireless Set No. 19 MK.II. 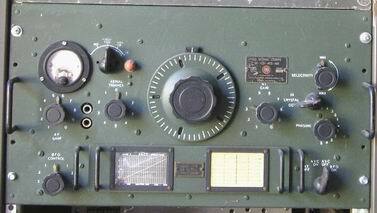 (In America it is often known just as the Mark II) It contained two separate transmitter/receiver units, an A and a B set. HF/VHF. This one was factory re-built by a (so far unknown to me) Australian company in 1952, hence the "/2" in its nomenclature. "A" Set covers 2 to 8 MHZ, AM/CW/MCW. Tx M.O.=6J8, Buffer=6U7, Mod pre-amp=6G8,Mod=6V6 and Power Amp=807. Rx has 455 Khz IF. RF amp=6U7, Mixer/Osc=6J8, IF amp=6U7, Det/AVC/AF amp=6G8 and AF output=6V6. The "B" Set covers 225 to 245 MHz AM only. The Tx Modulated Osc.=9072, Mod pre-amp=6U7 and Mod=6V6. Rx has Super regenerative Det=9072, Quench Osc=6U7, 1st AF=6U7 and AF output=6V6. 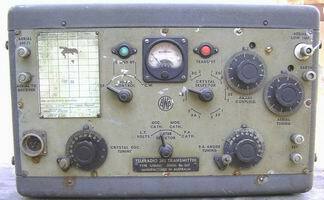 Yes, made also by AWA, this is one of the transmitters used by those heroic "COAST WATCHERS". The associated receiver is similar looking to the C6940 shown in the Navy Page. Six Xtal channels each of which can be used either at the fundamental frequency or doubled. Frequency range is 2.5 to 10 MHz. Output is 9 to 12 Watts depending on whether using fundamental or double Xtal frequency. Osc.=6V6, Mike amp=6V6, Mod= 2 x 6V6's and Power Amp=807. One of two HRO "copies" made in Australia. This one by AWA. There is also an AMR-100 which is a field "portable" version of this rack mounted '101. The "AMR" and "AMT" series of receivers and transmitters were actually made for the U.S. Forces as a sort of reverse Lend-lease. AMR= American Receiver, AMT= American Transmitter. The other HRO "copy" is the AR7 shown in my Air-Force Pages. The AMR-101is a Single Signal type covering 480 kHz to 26 MHz with 6 plug-in coil boxes. Valve line-up is 1st RF=6U7, 2nd RF=6U7,Mixer=6J8, Osc=6J5, 1st IF=6U7, 2nd IF=6U7, Det/AVC/AF amp=6G8, BFO=6J5 and AF output=6V6. Yes, you Hammerlund fans, it's an Aussie copy. Made by Eclipse Radio in Melbourne, this receiver did not apparently go into full production as the contract was cancelled at wars end. Only a very small number were finished in the factory, although some were finished off by amateurs after the company sold off its stock. I am not absolutely sure of the following valve line-up. This is what appears to be in the actual set. 1st RF=6U7, 2nd RF=6U7, Mixer=6J8, Osc=6J7, 1st IF=6U7, 2nd IF=6U7, 3rd IF=6U7, Det=6H6, AVC=6U7, BFO=6J7, 1st AF=6J7, AF driver=6J7, AF output=6V6. 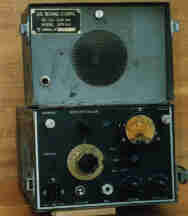 Made by Radio Corporation of Australia (Astor Radio) this backpack transmitter/receiver was copied along the lines of the British Wireless Set No. 8. Covers 6 to 9 MHz., AM only. Rx has a 1600 kHz IF. RF amp=1P5, Mixer/Osc=1A7, IF=1P5, Det/AF=1D8. Tx is M.O.=1Q5, Mod=1D8 and Power Amp=1Q5. Known variously as the ATR-4A or the RC-16, this was made by Radio Corporation of Australia and was also used in the latter stages of WWII by the "COAST WATCHING" network. This example sports a U.S. Signal Corps I.D. Plate with the nomenclature of SC-CD-248-44 - ATR-4A. Covers 3 to 7 MHz AM/CW. Rx has 455 kHz IF. RF amp=1D5, Mixer=1C7, IF=1D5, Det/AVC/BFO=1D8 and AF amp=1L5. Tx Xtal Osc=1H4, Mike amp=1L5, Mod=1J6 and Power Amp=1J6. 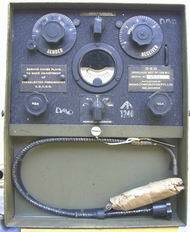 Back to my military radio collection page.